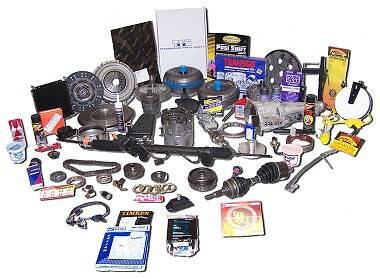 Sourcing difficult to find car parts in South Africa can be a nightmare. This is because so many of the vehicles that we drive are produced far outside of our country. All the parts are also produced in factories all over the world including America, Germany and Japan. Not only is it difficult to find parts for your vehicle, it is also usually expensive because it means shipping the parts from the foreign country. It also may mean purchasing several parts that are joined together as often, the company will not sell one small part by itself and you will be obliged to buy a larger object made up of several different parts if you want the small part that you are missing. Why would you need a single car part for your vehicle? There are many instances where people require just one car part for their vehicle. If you have been involved in a minor accident, your side mirror may have been bumped off and damaged, or your cover for your side mirror may have been knocked off and be long gone. Many companies will only sell the entire side mirror, which can be quite expensive, even if you only need the cover. If a part inside your vehicle is worn out, damaged or completely broken, you may need to replace it. Most parts, like the breaks and the internals of the gears, are much easier to replace and most service centres and auto repair companies will have a lot of stock on hand. However, some parts MUST be from the company that made the vehicle or they will not fit and work properly. In this case, you will find it more difficult to get hold of. What should you do first to get difficult to find car parts? If you are looking for a part and you are not sure if it will be difficult to find, the first thing to do is to approach the service centre for your make of car. If you have a Volkswagen, go to a VW dealership and service centre and ask for a quote on replacing the missing item. The original dealerships are often more expensive but they are usually the best choice for the best possible service for your brand of vehicle. They may tell you that the part will have to be ordered and they may quote you a high price. If this is the case, there are several other options for you. There are many repair centres throughout the country that are not affiliated to any one brand of vehicle. Some, however, do specialise in a particular type of repair or area of vehicle maintenance. Find out the details of the repair centres close to you and visit them. Explain your situation and ask them for a quote on the missing part, including the labour to re-attach it (if you cannot or don’t want to do it yourself). They may be able to give you a cheaper quote and they may have stock on site. If they don’t, it is a good idea to ask them if they know where you can get a specific part from for a low price as they may be able to steer you in the right direction. If an alternative dealership cannot help you, it is a good idea to visit some scrap yards in your area and ask them if they have the part that you are looking for. 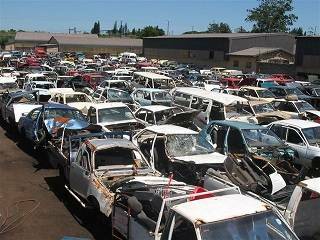 When there are accidents on the road and vehicles are written off, they will usually be sent to auto scrap yards where they will be taken apart and the salvageable parts will be sold on for re-use. If a vehicle that is the same as yours has been in an accident (which is very likely when you consider the sheer amount of automobiles in use in South Africa) you may be able to buy the part you are looking for cheaply.